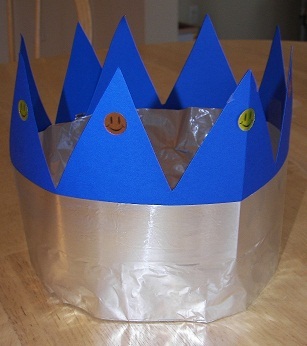 This arts and crafts activity gives kids a chance to make their very own crown. Their Old King Cole's crown can be decorated to be as simple or as ornate as they want it to be. Here's some hings you'll need handy for them to create their very own Old King Cole's crown. Use the string to measure your child's head and cut with a slight overlap. 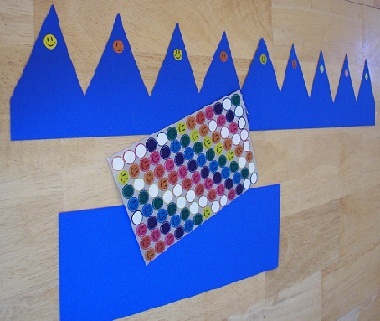 Then take the string to mark the poster board or construction paper the right length needed for the crown. Cut the poster board or construction paper to the marked length. Draw zig zag lines or curves along on edge of the cut section. Cut along the lines to create the top of the crown. Allow your child to decorate their crown however they would like. Staple the ends of the crown together with a little overlap to fit your child's head. There you have it! A crown fit for a King! Check out these other fun activities! Make A Lamb - from Baa Baa Black Sheep to Mary Had A Little Lamb! Spider Web Activities - Lots of creative spider webs for Miss Muffet! 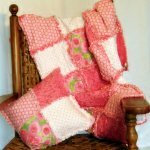 Star Arts and Crafts - Have your little one create a little twinkle!